The 4th AIRR Community Meeting will be held May 11-15, 2019 at the University of Genoa in Italy. 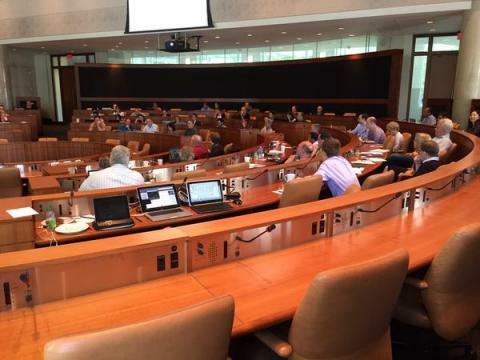 The theme of this meeting, “Bridging the Gaps”, addresses technological gaps between the amounts of accumulated data and our ability to process them, and the need for more involvement of stakeholder communities (industry, clinicians, patent communities) for uptake of the standards developed by the AIRR Community. We have confirmed two outstanding Keynote speakers – Dr. Sai Reddy from ETH Zurich and Dr. Antonio Lanzavecchia from IRB Bellinzona. Two planned panel discussions will include representatives from other institutions and companies that work with AIRR-seq data. In addition, two “challenge” sessions are planned to address the above-mentioned gaps. Two pre-meeting workshops will be available to teach the basics of immunology, and of AIRR-seq data analysis for beginners. Also planned are two poster sessions; and two tool and software demonstration sessions. More information and the meeting agenda can be found here. The 3rd AIRR Community Meeting was held December 3-6, 2017 at NIH’s Fishers Lane facility. 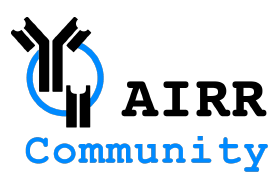 Please go to the 3rd AIRR Community Meeting page for the full meeting agenda, and a link to the recorded videos of the sessions. The 2nd AIRR Community Meeting was held June 27-30, 2016 at the National Institutes of Health (NIH)’s Fishers Lane facility. Please go to the 2nd AIRR Community Meeting page for the full meeting agenda, and a link to videos of the six sessions.